In the U.S., what passes for black currants are usually actually champagne grape raisins, but may still be more nutritious than regular raisins, which come from green grapes. Raisins given as a snack for kids may be so satiating that the children end up eating fewer calories overall. 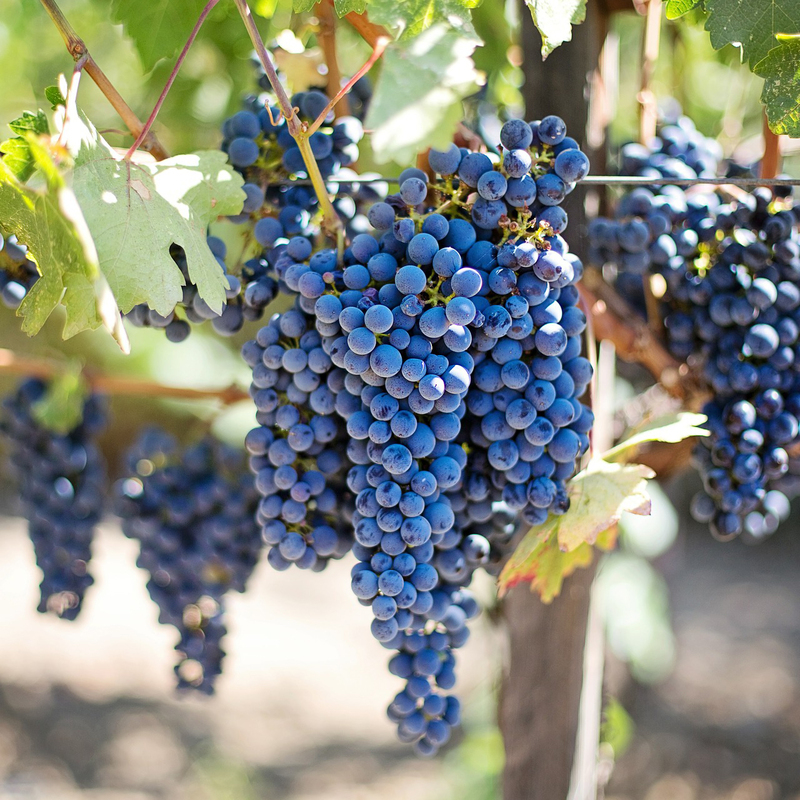 The healthiest grapes are often grown in relatively dry, sun-exposed, relatively infertile soil. Eating whole grapes is probably more nutritious than just drinking grape juice and may significantly lower the risk of type 2 diabetes, whereas fruit juice consumption is associated with a higher risk. Concord grape juice, however, may help slow brain aging, and an evaluation of nine common fruit juices showed purple grape juice to have the most phenols, which may be protective against Alzheimer’s disease. In terms of dental health, we must be careful with both whole fruits, like grapes, and their juices since their natural acids can erode tooth enamel. Grapes have antioxidants that may help reduce inflammation and benefit gene expression. Green grapes, though, have a low antioxidant amount. Grapes have polyphenols and flavonoids that may help with weight loss. Grapes along with other fruits and vegetables, may help to decrease TOR enzyme activity, which in turn may lower cancer risk. Certain phytonutrients, including resveratrol in grapes, mimic the potentially beneficial physiological effects of caloric restriction. Consuming grapes may also help protect joint cartilage and reduce inflammation, reduce asthma symptoms, and improve mood. The grape components of de-alcoholized red wine, may improve arterial function, but eating grapes with seeds may be more effective than drinking wine if the goal is to reduce breast cancer risk. Concord grapes in particular may help prevent breast cancer, and red grapes may slow liver cancer cell growth. Is there any benefit to resveratrol, and if so should we get it from wine, grapes, peanuts, or supplements? All plants produce “phytochelatins” to bind up heavy metals to protect themselves from the harmful effects. So, what if we ate the plants?